To learn more about the SEO Toolbook, visit https://www.jm-seo.org/books/seo-toolbook/. There one can peruse the table of contents, click on the link to Amazon, and even obtain a complementary copy of the Toolbook. It should be noted that the JM Internet Group also publishes a very popular list of the best books on SEO at https://www.jm-seo.org/2015/05/best-seo-books/, which is a complete list for small business owners and marketers of the very top books on the subject. The SEO Toolbook is a companion to the SEO Fitness Workbook. The former gives access to a cornucopia of zero cost tools, while the latter explains how to SEO a website step by step. 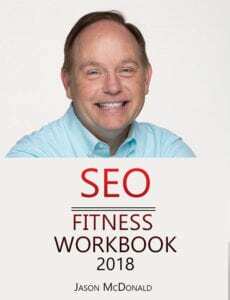 The SEO Fitness Workbook is a consistent top selling book on Amazon in the category of search engine optimization, and for good reason. 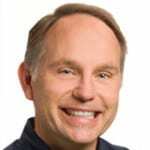 First, it grows out of Jason McDonald’s popular courses at Stanford Continuing Studies, which are now taught on campus and via online. Second, the book now tops over five hundred forty reviews on Amazon.com, which is substantially more than the nearest book and many of which are five star ratings. Third, the book is unique in that it includes a companion Toolbook of zero cost tools, worksheets for small business owners and marketers, and – new for 2018 – quizzes and action item lists. In this way, the book is a practical manual for any small business owner or marketer. It’s no wonder that the SEO professional community as well as the community of small business owners and marketers eagerly look forward to the publication of the Toolbook twice a year.